I'm taking advantage of this weekend to combine business with pleasure and take an one day trip to an old village on the cretan mountains to examine up close the architecture of its dilapidated houses. Old stone houses that have been abandoned for decades seem to have a whimsical aura, a strong energy that makes my spine shiver. It is a pity that these houses are left to rotten; the renovation being too costly is almost a forbidden luxury to most of the citizens around here these days. Hopefully, things will change before it is too late. On an other note, just on the verge of spring and warmer days, I thought I'd share with you a few bright, colorful shots to get you inspired. 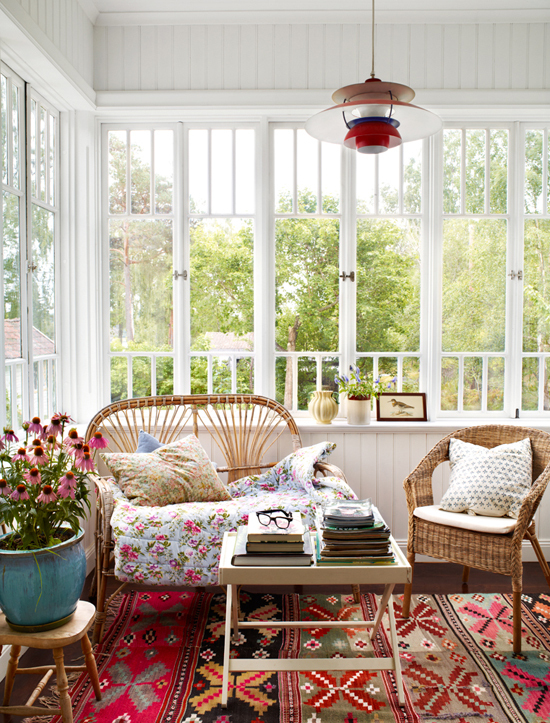 How about spending a lazy Sunday morning reading in the sunny room in the first shot? I love the kilim used on the floor and I definitely love the textures and patterns of the textiles in the second one. A great industrial chic sconce. An amazing hand-blown table lamp..
..and a useful guide on combining lighting fixtures. Fantastic bean bags by Due. I love the color of this armchair. Amazing how people live this way (via). 10 secrets for a happy housekeeping. Mount vases on the wall. 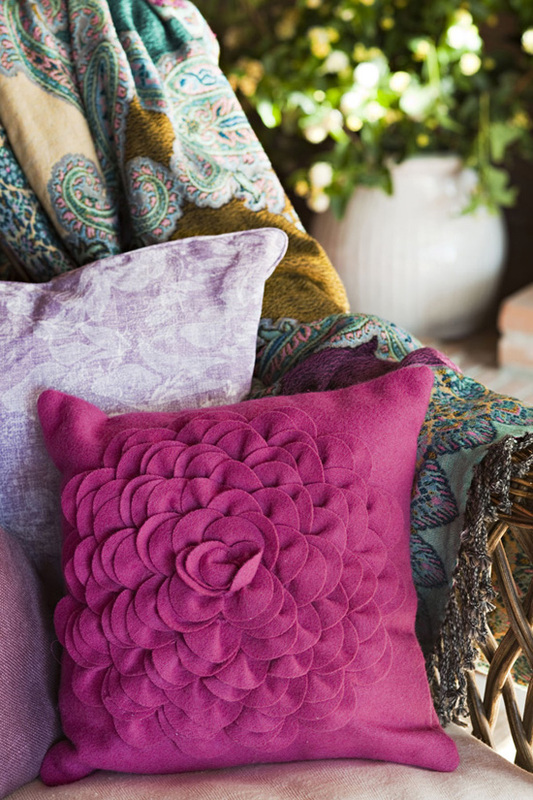 Felt floral pillows are a hit! Farmhouse in Spain- Rural chic and a home to adore. Living room couples- Grouping chairs in pairs with an easy-going attitude. 10 best: Clear home accent- Create a transparent chic look with these accessories. Neo-boho in the bedroom- Folkloric patterns and natural materials. Love to have a lazy weekend. But unfortunately, got a lot of errands to make. love the first room !